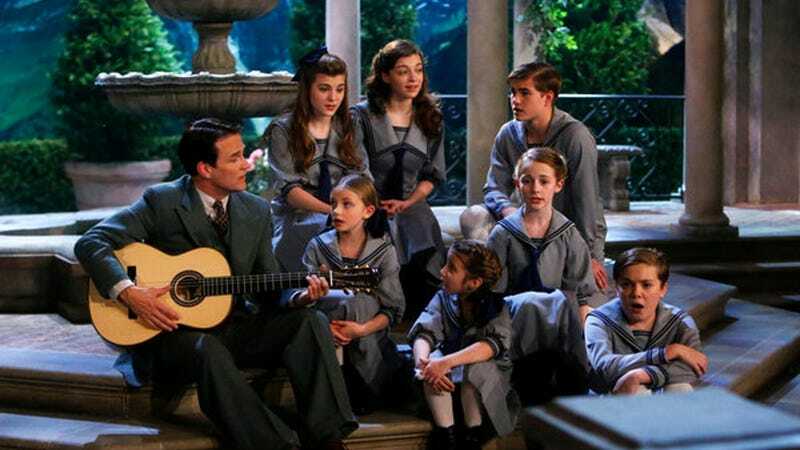 18.6 million people tuned in to watch NBC's Sound of Music Live television event, giving the network its highest ratings since the ER finale in 2009. Were you one of those 18.6 million viewers? I know I was and now — as punishment for our hate-watching — NBC is planning to ruin another one of our favorite musicals just in time for Christmas next year. Feel the dread, America. For this is our penance. NBC has yet to announce which musical they'll be desecrating, but Robert Greenblatt, NBC's chairman of entertainment, told the New York Times that they're in talks with many different musical rights holders who are all willing to watch their shows be ruined live on national television. "All weekend, people have been calling us and e-mailing us," Greenblatt told the paper. "Rights holders of musicals have said, 'Please do one of our shows.' We're excited to try it again." He then added what we can only presume was a threat, saying, "There's enough to do a handful of these over the next years...I think we could do this again — and again and again." Hold your favorite musicals close tonight. Who knows how long the two of you have left.